Posted by Dave Emory ⋅ January 10, 2016Post a comment Email This Post Print This Post Tweet This! Introduction: For most of this decade, Mr. Emory has analyzed an overlapping series of “ops” that have determined much of contemporary political reality. At the epicenter of this dynamic is the Earth Island. This intricate [perhaps] overwhelming analysis is intended as an overview and guide to this dynamic–as devastatingly important as it is byzantine and confusing. 1. John Young, one of WikiLeaks’ founders turned critic of the organization harbors deep suspicions concerning the group. Young harbors many other suspicions about the group as well. “Wikileaks’ Estranged co-founder becomes a critic (Q & A)” by Declan McCullagh; C/NET; 7/20/2010. 2. “The Earth Island Boogie” embraces an overlapping series of “ops” including: the so-called “Orange Revolution” of Ukraine, WikiLeaks, the so-called “Arab Spring,” “L’Affaire Snowden” and the Maidan coup of 2014. Those same reassuring voices have told us that the Brotherhood aspires to a political agenda to the “moderate” agenda of the Turkish AK party. That party is closely affiliated with the Muslim Brotherhood. The “moderation” of the AK Party was evaluated in FTR #884, among other programs. 3. As of the spring of 2011, the “conga-line” ops entailed the so-called “Orange Revolution” in Ukraine, WikiLeaks and the Arab Spring. In the years since that time, “L’Affaire Snowden,” the Maidan coup of 2014 and the rise of ISIS have supplemented the conga line. In our next (hopefully concluding) program in this series, we will examine the rise of ISIS and the geopolitical implications of these developments for the United States. Glenn Greenwald is very close to WikiLeaks. Snowden’s journey from Hong Kong to Russia was engineered by WikiLeaks personnel, leading to the cancellation of a summit meeting between Obama and Putin. This was the end of Obama’s attempts at “reboot with Russia.” Following on the heels of the death of the “reboot with Russia,” the Maidan coup took place. The Maidan coup was a very obvious covert operation. Pierre Omidyar–bankrolling the journalistic efforts of Snowden’s journalistic associates Glenn Greenwald and Laura Poitras–also helped bankroll the Maidan Coup through the Agency for International Development, a frequent cut-out for U.S. intelligence. Omidyar also bankrolled Ukrainian MP Svit­lana Zal­ishchuk, who has been pushing the Nazi-inspired “lustration laws.” Ostensibly aimed at curbing corruption, the lustration laws have been used as an excuse to purge ethnic Russian and pro-Russians from the Ukrainian government. 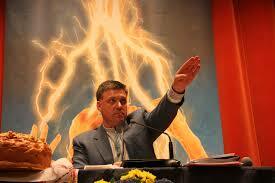 Zalishchuk has been a liaison person between so-called “moderates” and Nazi elements in Ukraine. Gene Sharp’s “non-violent” theories were used by the PORA organization in the so-called “Orange Revolution,” that brought OUN/B front man Victor Yuschenko to power in Ukraine. His minister of justice was Roman Svarych, Jaroslav Stetsko’s personal secretary in the 1980’s. (Stetsko was the wartime head of state for the Nazi-collaborationist Ukraine.) Svarych is an adviser to Poroshenko. Volodomir V’iatrovych headed up the Orwellian “Institute for National Memory.” Under Poroshenko and the Maidan regime, V’iatrovych performs the same function. Under Yuschenko Valentyn Nalyvaichenko headed up the SBU, the Ukrainian intelligence service. He also headed it under Poroshenko and the Maidan regime(s.
Joran Jermas, a.k.a. “Israel Shamir,” was the Holocaust-denying top aide to Julian Assange why”o arranged for WikiLeaks to operate on the Pirate Bay website. He is an associate of MAUP, the largest private University in Ukraine and an institution that espouses a doctrinaire anti-Semitism. Victor Yuschenko–the OUN/B front man who came to power through the so-called “Orange Revolution” is on MAUP’s board of directors. David Duke teaches there. “The fourteen words” is an internationally-popular white supremacist/Nazi slogan minted by David Lane, who drove the getaway car in the murder of Denver talk show host Alan Berg. The slogan is apparently popular among Ukrainian Nazis. Glenn Greenwald–Snowden’s leaking journalist of choice–ran legal interference for the leaderless resistance strategy and the teaching materials of the National Alliance, publisher of the Turner Diaries. That tract inspired David Lane’s association “The Order,” as well as the Okalahoma City bombers. Greenwald is also close to CAIR, which is inextricably linked to the Muslim Brotherhood. The UNA-UNSO is the latest manifestation of the UPA, the military wing of the OUN/B and a collaborator of the Waffen SS. It spawned the Pravy Sektor Nazi political front in Ukraine. The UNA-UNSO fought with the Chechen Islamists in the Caucasus. Pravy Sektor now has administrative command Chechen ISIS fighters who have decamped to Ukraine. Pravy Sektor is also collaborating with Crimean Tatars who enjoy the support of Turkey. Turkey is supporting ISIS, despite their representations to the contrary. The fascist/Pan-Turkist Grey Wolves have been active in Chechnya. They are also supporting the Uighurs in China. The Grey Wolves are implicated in a Uighur-connected terrorist bombing in Bangkok. Historically, Ukraine and Pan-Turkism have jointly factored into German geo-politics. Michael Bociurkiw, head of the OSCE’s Special Study Mission in Ukraine has links to both a Malaysian Muslim Brotherhood nexus that figures strongly in the background of the disappearance of Malaysian Airlines flight 370 and the OUN/B. 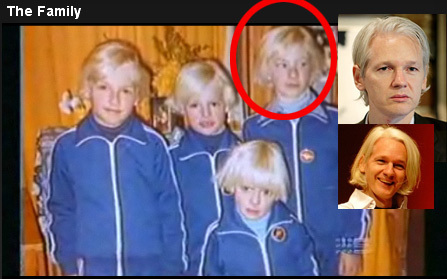 Bociurkiw has been a point element in the so-called “investigation” of the downing of Malaysian Airlines Flight 17. “L’Affaire Snowden” directly presaged both military and economic pressure exerted throughout the Earth Island. Just before President Obama was scheduled to meet with President Xi of China, Snowden decamps to Hong Kong (courtesy of WikiLeaks) and leaks information about NSA spying on China, thereby complicating this country’s relationship with China. In the aftermath of Snowden’s Hong Kong trip, we have seen de-facto economic pressure on China, the potentially devastating Trans-Pacific Partnership (which excludes China, as well as a U.S. military build-up in the Pacific, aimed at “containing China.” The Pan-Turkist/Uighur/Grey Wolf axis has ramped up activity against China as well. Snowden decamped from Hong Kong to Moscow (again courtesy of WikiLeaks), dealing a death blow to Obama’s “reboot with Russia.” In the wake of Snowden’s journey to Moscow, we have seen open warfare break out in Ukraine in the aftermath of the Maidan coup, coupled with economic sanctions against Russia. We note that Saudi Arabia, whose potentates finance the Muslim Brotherhood and its offshoots (including ISIS) have kept the price of oil low, harming the Russian economy. ISIS is a direct outgrowth of the so-called “Arab Spring” in Syria. ISIS is deeply entrenched in Libya, as well–another outgrowth of the so-called Arab Spring. The program concludes with a re-broadcast of a brief quote from Zbigniew Brzezinski read by Elizabeth Gould in FTR #872. The highlight of my day was meeting Gene Sharp and discussing revolutions. I feel really inspired. While asking questions, they located Gene Sharp books about authoritarianism and obedience. Apparently, something some passengers lack. It certainly appears that Gene Sharp taught Appelbaum a number of valuable lessons, which is in no way surprising given the revolutionary nature of Appelbaum’s Cyperpunk activities. Balloons, holding small radios tuned to Radio Free Asia’s frequency, were lofted toward the mainland from the island of Taiwan, where the Chinese Nationalists had fled after the Communist takeover of the mainland in 1949. The plan was abandoned when the balloons were blown back to Taiwan across the Formosa Strait. The CIA supposedly shuttered Radio Free Asia in the mid-1950s, but another Radio Free Asia reappeared a decade later, this time funded through a CIA-Moonie outfit called the Korean Culture and Freedom Foundation (KCFF) — a group based in Washington, D.C. that was run by a top figure in South Korea’s state intelligence agency, Colonel Bo Hi Pak, who also served as the “principle evangelist” of cult leader Rev. Sun-Myung Moon of the Unification Church. Just ingenue, you might say. Well, who was it directing his visit? And don’t you suppose one of his handlers’ mandates was not to let him be diplomatically embarrassed? We should remember that this website appears to be the worst sort of Christian fundamentalist manifestation, yet the Grey Wolf hand sign being given by Obama, unless this pic is photoshopped, is an indicator of the direction we are going in.